Thus, an AddMod of 30 is equivalent to having +60 Atk. The worth of a MultMod is dependent both on the modifier and the difference between Atk and Def. Suffice it to say that even a 2x multiplier will be weaker than a +30 AddMod until the difference between Atk and Def exceeds 60. What's more, AddMods are beneficial in that they flatten out the damage curve between different characters; even relatively low Atk stats can make use of AddMods effectively. This is why Cannon is such a good djinni early on, and why even Sheba can do insane damage with it. Multipliers are inherently best on whoever has the highest raw Atk stat, while AddMods can be effective on anyone. I was trying to follow a similar system to Dark Dawn which used multiplier unleashes all game except that I'd slowly scale them up to the levels of the average djinni or slightly weaker around the halfway point (Flint/Echo/Cannon for reference would all probably be about 1.8x and Quick Strike which is the spammable multiplier ability would be 1.6x). If I'm using added damage then I think i'd probably scale the unleash damage bonus at about 40/45/50% of the weapon's base attack but the problem is picking a decent point to start using multipliers for unleashes. Staff unleashes won't be as hard since i'd just scale them based on whatever the middle of the line spells are for a particular level range for the first half and then ease up to the focused spells at the end. You could always mix and match - you could design a weapon to have a strong unleash in the hands of a capable fighter by giving it a multiplier, or you could design a weapon to bring parity even to weaker party members. I'd say that generally mace and LB unleashes should be added damage for most of the game, while weapon types that are dedicated to warrior-type characters could feature more multipliers (mostly long swords; axes would have to use weaker multipliers or just do added damage to be balanced). Alternatively, if you want a mace/LB to be ahead of the curve when you obtain it, you could give it a multiplier so that warrior classes can utilize it better, giving it to a mage as a hand-me-down later. You don't have to totally switch over to one or the other at any point, either; you can have items coexist in the same space, some with multipliers and some with added damage, sometimes with a new weapon having added damage despite the previous one using a multiplier. Also, about dark dawn: DD still had a lot of added damage unleashes afaik, it's just that since every weapon got multiple unleashes, and unleashes were shared across the game, the chances of having a multiplier were much higher. My idea was that unleashes that had a chance of randomly multiplying a character's damage would be added damage where as the others would be more multiplier stuff. I do like the idea of mixing and matching added damage vs multiplier unleashes since staves are still technically added damage unleashes under this system due to them using the intellect formula for their unleashes and other unleashes like Mad Zephyr, Legend and Rising Dragon could still be added damage in order to keep them in check. One other thing to note too is that while two weapons might have the same multiplier on their unleashes, the later weapon would still be the stronger one thanks to a higher base attack. I think ideally, Axes would probably need to resort to be added damage up until around the party merge to keep them in check, where as everything else could resort to multipliers. The reason I suggest keeping maces/LBs added damage for most of the game is because mage-type characters have innately lower Atk, so they don't get as much out of multipliers. So if you give these weapons multipliers on par with the other weapons, warriors will use them fine, but they'll actually be weaker in the hands of a mage. If you give them multipliers stronger than other weapons, then warriors will just say "thanks for the new weapon" and mages will only get to use them as hand-me-downs. However, if you give them added damage on par with the damage output of warrior multipliers, it ends up being a strong option for both warriors *and* mages. Just want to point out one minor thing (going to read through the rest of this topic later), but multi-target unleashes are also a thing if you feel they would be helpful for making unleashes more diverse. And yeah, I would be careful with relying on multipliers; they are terrific but that isn't always a good thing. Swords are supposed to be the strongest weapon type in terms of unleashes so I'll have them stick to multipliers all game and upgrade as it goes along. I think they'll start at around 1.4x-1.6x damage, then around Lemuria they'll go to 1.6x to 1.8x damage. The last few weapons would go up to a maximum of about 2.5x damage. Swords would have the highest unleash rate. Axes on the other hand would use about 30% of the weapon's base attack as added damage since they have significantly higher base attack than swords. They'll probably ramp up around the same time as swords but will only be on the 1.4x-1.6x range due to their attack stat. The ultimate axe will probably max out at around 2x damage like in Dark Dawn. One other thing about Axes would be that they'd have a lower unleash rate than the other weapons. Light Blades and Maces would scale at roughly 50% of a weapon's base attack and then tie swords multiplier wise during the Western Sea segment. At the endgame they'd still be roughly on par with swords but they'd lose out to thanks to having lower base attack as well as Megiddo which has the highest damage multiplier in the game. AoE unleashes would generally be about 10-20% weaker than their counterparts while unleashes with a random chance of dealing increased damage would be added damage that caps out somewhere in the 20s-30s. I suspect axe unleash rate would be fine if it was on par with the other weapons, and a 10% penalty on AOE unleashes sounds pretty light; it'll prob bounce around 20% most of the time. Other than that, it sounds like a good starting point to me. You'll probably run into some things that end up needing to be rebalanced when you realize something is too strong/too weak, but you've gotta start somewhere. edit: Actually, for the added damage percentages, you may want to scale it up throughout the game. Axes might start at 20-25%, then scale up to 30 or 35% shortly before the multiplier switch. Maces/LBs might start at 30%, scaling up to 50% shortly before the multiplier switch. This more closely reflects how GS added damage unleashes usually scale, and keeps added damage from being too strong in the early game. In vanilla GS, base damage unleashes usually scale from 30-50% of the weapon's Atk over the course of the game. Sounds fair enough to me since it'll let now I just need to work on scaling/distributing spells since staff unleashes are supposed to be based around those. Tier 4: Fume, Call Series (Jupiter would get a Tier 4 spell while Mercury wouldn't since it has the strongest heals). From there I would distribute the spell lines accordingly depending on character/class theming. 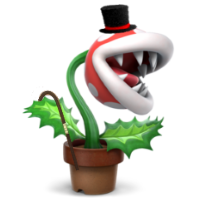 For example Isaac would get the Quake/Spire/Gaia lines where as Felix would get Growth/Thorn/Tier 3 Plant. With the exception of Jenna's base class, Tier 4 spells would generally be reserved for dedicated offensive spell casters as their equivalent of stuff like Planet Diver and so forth to make them stand out from the rest. My problem however is figuring out a nice and neat way of scaling spells as well as giving them a fair enough PP cost. I remember Dragon Fume being really expensive for something that was just barely stronger than Grand Gaia and with way less range. I like the idea of having some sort of scaling curve, where greater ranges have greater costs but where the difference between each range decreases. So like, single target might be 10, three targets 14, five targets 16, seven target 17. Power would scale in a similar fashion but reversed with higher powers at lower costs. The main reason I suggest this is because of target group size limits, and on the whole enemy groups tend to average out around three or four enemies; quite often there will be little functional difference between a three and a seven target spell aside from who you select as a primary target to maximize damage output. That being said, I don't like sticking to a strict formula whenever I try to balance power, cost, and range. And learned level. Some variation usually works well for me because different abilities will be available in different classes, while a strict formula approach works better when trying to balance abilities within a class than between them. This is my take on it at least! I haven't quite figured out Camelot's approach to things as yet but there's definitely some sort of general pattern that they tend to take when balancing out spells. For example the 3rd stage spells in the Growth/Blast/Douse/Slash lines all cap out at around 110-120 power and have roughly the same PP costs and the same goes for Plasma, Cool and Beam all capping out at around 170-180 power on their last spells. Spell levels also seem to be fairly consistent between the classes too since you can basically expect every class with the Volcano line to learn it at around levels 8, 22 and 48 respectively. There's definitely going to be case by case thing since stuff like Ply would be learnt earlier in say the Water Seer line compared to the Swordsman line. But I definitely think that keeping spells around the same general range within their respective tiers and spreading them out accordingly would help sort out the problem a bit. For example one mage would have Prism and another could have Cool which are both T3 spell lines, and while they'd both hover around the same basic power values for the first two tiers, the one with Prism would win out at the end since Cool trades its power for range at the last step. I definitely do agree with you about the enemy group size being a problem since GS doesn't really take advantage of the enemy size cap outside of cases where the boss or whoever could call for reinforcements which is probably why increasing it is probably a good idea. Remember the sprite limit exists. You can only have up to 6 small enemies on screen at once, and medium enemies count as two small enemies. This isn't a game balance limit, but rather a hardware limit. 1 large/double with 1 small (at least based on a battle I tried to make with a Kraken and two Cuttle enemies). It might be possible to have four medium enemies if they are encountered before you have a full party, although I am not sure if anyone has tested that before. I wasn't really intending on reaching the hardware caps on the enemy groups although it is good to know what they are. My plan was to basically increase the variance in enemies that show up in random encounters so players would get a chance to properly take advantage of the higher range spells. On that note after taking a look at the spell damage range in vanilla, it seems like there's a spell damage variance of about 5-10 in the lower tiers and 10-20 in the higher ones. The middle tier is kind of all over the place since the upgrades don't really follow a regular pattern so certain spell series get a huge power jump (most notably Whirlwind). I haven't quite figured out the pattern yet when it comes to going from stuff like say Quake to Earthquake or Earthquake to Quake Sphere but it shouldn't be too hard providing that I stick to the pattern that Camelot seems to use. Just to make sure, the main bug is related to text right? Did you use two different buff effects between the first two pictures? Do any of them work correctly or did I mess all four of them up? Edit: I can double check the duration code after I fix the text issue. Edit 2: So I just tested effects 39 and 41; 39 (debuff) seems to work fine while 41 (the buff) shows it as a negative value. I don't think it should take too long for me to fix it. Edit 3: Though, I'm also not seeing what the issue is in the code which is weird. It might be an issue with how I have the instructions maybe? I'll let you know later. Edit 4: Looks like bad calculations, so I'll fix the remaining two effects and update the patch.